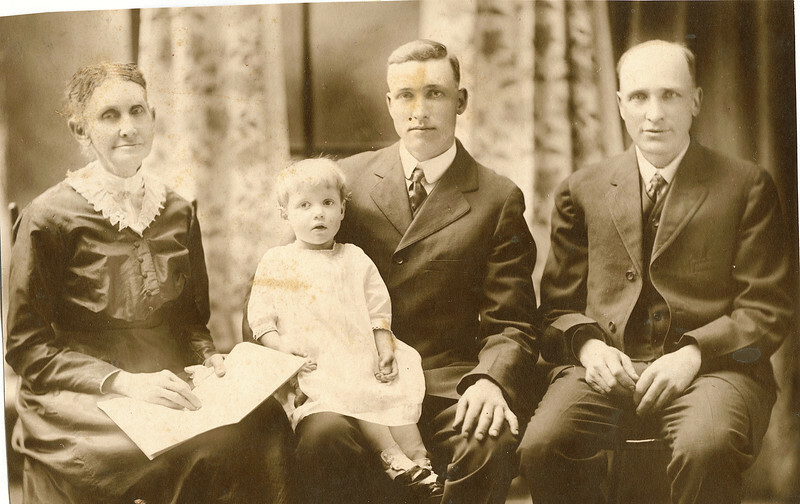 Priscilla Adeline (Rogers) Dew (1844 - 1923), Margaret Louise Dew (1916 - 2003 ), Byron Elmer Dew (1893-1986), William Alfred Dew (1869-1965). Written in the Rogers Reunion Photo Album Volume III page 10 above the photo “4 Generations of Dews: Percialla A. (Rogers) Dew, Elmer Dew, Wm Dew and Margaret Dew. 1918"